A Path To Lunch: Guidebooks for Italy's Regions Reviewed 2019 - Cinque Terre, Tuscany, Sicily & More. Guidebooks for Italy's Regions Reviewed 2019 - Cinque Terre, Tuscany, Sicily & More. What are the Best Travel Guidebooks for Italian Regions? Which Guidebook is Better for Driving Through Tuscany or the Italian Lakes? the sky'.Cinque Terre was not yet famous. Let's start off on the right foot: there are no best travel guidebooks. All have strengths and weaknesses, and all travelers have different approaches and needs. We have recently finished our independent review of almost all the popular Italy travel guidebooks. We give you our recommendation along with enough description help you decide if it fits your needs. ▸Guidebooks in each category are in order of preference.▸All books have Paperback and Kindle editions. ▸ On Amazon UK the Kindle editions may be in the Kindle store. ▸Clicking links doesn't affect the price, but helps us help travelers. See About Us and Disclosure below. ▸See Who Are The Reviewers below to read about the criteria of the reviewers. The Snapshot edition is an excerpt from the Italy Rick Steves Guidebook. Covers Naples and the Amalfi Coast, including Pompeii, Vesuvius, Positano, and the town of Amalfi. For a driving orientation, this streamlined and adapted edition of the larger guidebook can make decisions easier. A word to the wise: read some reviews - driving the Amalfi coast is torture for some drivers. Covers Naples, Sorrento, the Amalfi Coast, the Cilento Coast. Psychology, he wrote 5 books on Europe. ☛Michelin Campania Basilicata Map 1:200,000 (Amazon US) (Amazon UK) For driving, this yellow series 1:200,000 has the right level of detail. We use a paper map for overview and a smartphone with Google Maps for detail. 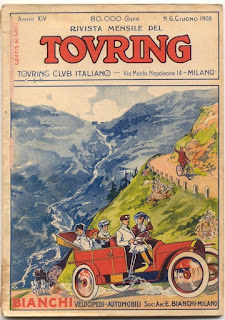 This edition contains contains the same info as in the RS Italy guidebook with the addition of a good Cinque Terre map. We've written a lot on the Cinque Terre and this is the guide we'd want - hands down the best. The Snapshot edition is an excerpt from the Italy Rick Steves Guidebook. This large region is well suited to Rick Steves' selective emphasis and honest evaluations. Not yet the new DK design. This DK guide makes a good companion to the Rick Steves book just above. The DK visuals and sidebars will inspire you and the practical RS will make getting around easier. against WWI. She wrote at least 30 books. Not yet the new DK design. Good photos to inspire, good maps to follow, and good illustrations to explain. There's solid coverage of Genoa and other major locations though the Cinque Terre section is small. The author, Rosie Whitehouse, first visited Liguria as a kid and now visits yearly with her own. She provides engaging coverage of the entire Ligurian coast with a personal feeling including some wonderful out-of-the-way towns. She has a moderate section on the Cinque Terre. This guide has assisted us for a dozen or so Ligurian excursions over several years and we recommend it. ☛Michelin Liguria Map 1:200,000 (Amazon US) (Amazon UK) For driving, this yellow series 1:200,000 has the right level of detail for discovering back roads. We use a paper map for overview and a smartphone with Google Maps for detail. Not Lonely Planet's best effort, but there is not a lot of competition. Use it as a base for adding information on your particular interests. Covers Naples, Pompeii, the Amalfi Coast, Campania, Puglia, Basilicata, Calabria, Sicily, Capri, the Aeolian Islands, the Ionian Coast. since 1895. Now with 300,000 members. ☛Michelin Puglia Map 1:200,000 (Amazon US) (Amazon UK) For driving, this yellow series 1:200,000 has the right level of detail. We suggest a paper map for overview and a smartphone with Google Maps for detail. Comprehensive, no nonsense coverage of the whole island. Whether you are a sunbather or cultural explorer, you'll find more than enough to keep you interested and busy. The most recent guide to Sardinia. This guide has one author - Greg Ward - and the consistency helps one judge the information. Covers the whole island and all budgets with a friendly tone. 2017 244 pages 17 ouncesNot yet the new DK design. The visuals are good for inspiration and the sidebars are fascinating. ☛TCI: Italian Touring Club Sardinia Map 1:200.000 (Amazon US) (Amazon UK) For driving, this has the right level of detail. TCI maps are even better than the Michelin yellow series, though nearly double the price. We use a paper map for overview and a smartphone with Google Maps for detail. & the road was slick with candle wax. Comprehensive coverage overall as you expect both by geography and by subject. This 7th edition doesn't have many photos, but 60 decent maps more than compensate. Some travelers point to omissions (Palermo overview map, skimpy Monreale cathedral coverage), but most buyers find the book suits the purpose quite well. This is the new 1st edition, written with two experienced collaborators. It is the category leader even pre-release. We expect this book will provide satisfyingly full coverage as it features bible-thin paper. Promo blurb promises: 'Enna, Ragusa, Catania, Messina, Palermo, Trapani, Syracuse, Agrigento, Caltanissetta, the Aeolian, Aegadian, and Pelagian Islands, and more'. We'll probably rank it first next year. For driving, the yellow series 1:200,000 has the right level of detail so you can get on or off the beaten track as you wish. We suggest a paper map for overview and a smartphone with Google Maps for detail. 702 pages (late 2017) next edition late 2019. Besides full Florence coverage with itineraries, it includes Siena, Lucca, Pisa, and a bunch of hill towns. Good map and extra consideration like 'Florence with Kids' and suggested itineraries. Good info on opening hours, fees, etc. This book has more coverage of the subject than the full Rick Steves Italy Guidebook - useful for a stay of four days or more. 2018 228 pages 8 ouncesThe Snapshot edition is an excerpt from the Italy Rick Steves Guidebook. When the attractions are infinite and the time finite, the Rick Steves guides are at their best. Nice title, but the coverage is too thin to compete. ☛Michelin Tuscany map (Amazon US) (Amazon UK) For driving through the Tuscan countryside, this yellow series of scale 1:200,000 is perfect whether you are aimed or aimless. We use a paper map for overview and a smartphone with Google Maps for detail - for instance near towns. tourism existentially - even in 1956.
also wrote 'The Stones of Florence'. Make Your Own. As part of trip planning, we create organized supplemental material on towns, buildings, restaurants, geographical features, etc. from the internet or books before we leave home. If you have particular interests, a travel guide won't go into enough detail - so bring more. We often print out or download Wikipedia articles, local blog articles or good tourist office publications. For easy access, create a document on smartphone or computer with links to websites by subject or location. It will save a lot of time in your hotel room. Kindle Limitations. Kindle users can be inconvenienced while touring because screens can be hard to see in bright sun, and map details can be too small. Also, devices are hard to share which can make you the de facto guide. Consider getting a pocket guide in paperback to carry with you in Rome or Cinque Terre or wherever, as well as a large Kindle Italy guide for the full coverage with less weight. Library. Don't forget your local library. Many have a good section of travel guidebooks so you can figure out which guidebook is for you. They also are good for inspiring ideas beyond the obvious and adding information your chosen guidebook doesn't cover. Lose Weight. With bigger guides we isolate the sections we need and slice the binding. We put duct tape on the binding of each of the newly created sections so they don't fall apart. Now you can leave some of the book at home and discard no-longer-needed sections during your trip. What kind of travelers reviewed these guides? We usually do self-guided trips with a relaxed schedule, by train to large cities and typically by car otherwise. We want a guide with a practical, well-organized approach without superficial writing. Beyond basic facts, we want cultural insight, helpful advice, historical background, and a large selection of sights both great and small - with particulars about hours and prices. We don't look for guidebook hotel and restaurant recommendations because they give just a limited number of popular places, making it hard to avoid the beaten path. The books can't match online sources where you can learn about virtually all the choices along with recent feedback. Fortunately, Italy now has lots of free wifi, and almost all accommodations will have quite good wifi service. Finally, we greatly value comprehensive coverage in a guidebook since the internet makes it easier to vary from a planned itinerary to respond to weather, crowds, or new information. We change plans during almost every trip as we discover new aspects of an area, and hopefully your guide books will help you take advantage of the serendipity that makes travel so enjoyable. For accommodation, we typically rely on close reading of the verified hotel reviews on Booking.com (2nd choice AirBnB) along with map study. For hotels, we avoid TripAdvisor and Online Travel Agencies (Travelocity, etc.) due to unverified reviews, higher prices at times, and lack of added value. We use Google Street View to see what the building, the neighborhood or the traffic are really like if we have any doubts. For restaurants, we study up on the area's specialties and then become skeptical readers of TripAdvisor reviews (Yelp is not used much in Italy). TripAdvisor reviews in English are skewed to the positive in Italy by happy travelers who are new to real Italian food - good for them, but we want more knowledgeable opinions. We look for reviewers who've written a good number of intelligent reviews with specifics we can evaluate - hopefully an Italian or Italophile. Also, if a restaurant is listed in the Slow Food guide (Osterie & Locande d’Italia), or display the Slow Food snail logo, they automatically are given serious consideration. Fall 2017: our 56th Italy trip. We are Mike and Martha from Boston and we have visited Italy over 50 times in the past 30 years. 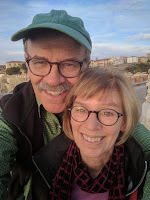 We are retired photo editors and we've had an apartment eleven miles by crow or drone from Cinque Terre for over 25 years. We know Italy well and we keep current by reading the local news and travelers' forums and keeping up with travel websites. We also maintain the web's only archive of Cinque Terre ferry schedules to help people off-season. We hope our information will help you have a great trip. When planning, remember there are no right choices, just different pleasures. We receive no money or free stuff for writing our articles or opinions. We may receive a commission if you buy from a commercial link (Amazon is ~ 4%). Those commissions help support this website and (occasionally) local vintners. Your encouragement and trust mean more to us than any money. Compiled in April, 2019. The books listed are the latest editions available at the time of writing. Copyright 2019 Amendola Media LLC. Where is the Giovanni Amendola of our era?